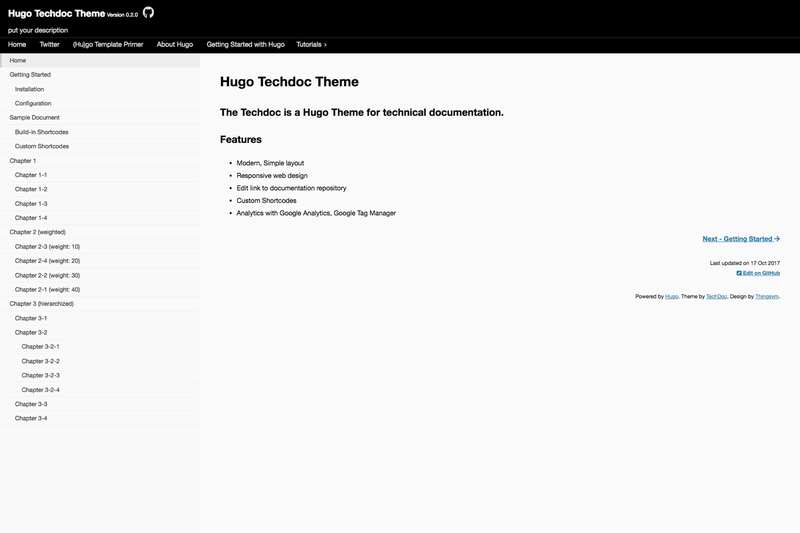 The Techdoc is a Hugo Theme for technical documentation. For more information read the Hugo documentation. You may specify options in config.toml (or config.yaml/config.json) of your site to make use of this theme’s features. For an example of config.toml, config.toml in exampleSite. To preview your site, run Hugo’s built-in local server. Small patches and bug reports can be submitted a issue tracker in Github. Forking on Github is another good way. You can send a pull request.